Moana: Ocean! Do something. Help us. Maui: The ocean does not help you. You help yourself. You cannot sail? Moana: I am soft touch*. * Moana is an animation released in 2017. 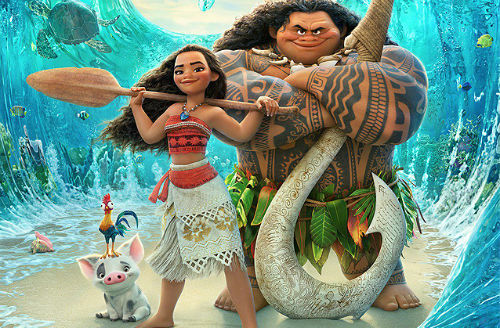 The film tells the story of Moana, the strong-willed daughter of the chief of a Polynesian tribe, who is chosen by the ocean itself to reunite a mystical relic with a goddess. When blight strikes her island, Moana sets sail in search of Maui, a legendary demigod, in the hope of saving her people. It is impressive that Moana keeps listening to her inner voice rather than being obedient to her parents. It delivers the message that you should know who you really are and believe in your potential power.